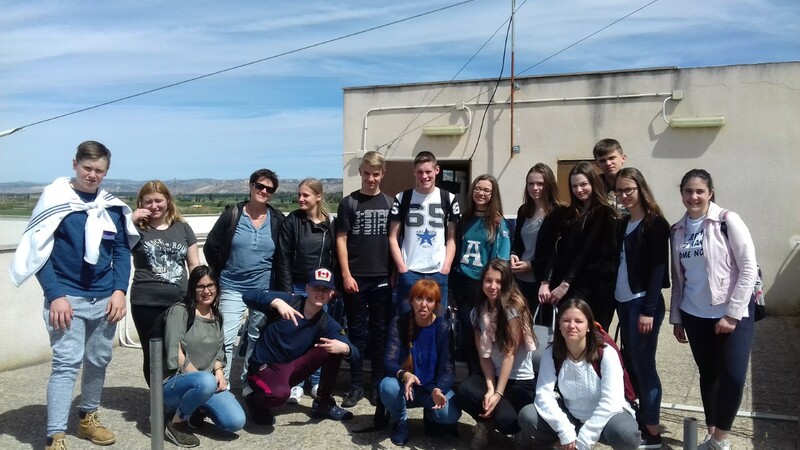 THIS IS A PHOTO OF THE STUDENTS FROM HOLLAND ON THE SCHOOL ROOF WHEN WE SHOWED THEM THE SOLAR PANELS. Knitting seems to be having a moment. That lamp post that you never noticed before … suddenly, it’s multicoloured. Trees, statues, even buses and bridges are finding themselves decorated with a warm, brightly coloured knitted woollen cover. It’s called yarn-bombing. considerably, less damaging as it can be easily removed. Nonetheless, many local governments don’t like yarnbombing, and therefore it is often done secretly at night. Yarn-bombing is very quiet. The yarn-bombers then take photos of their creations and post them online for others to admire. It’s very much a social thing, with groups of knitters working together to plan and create something. Even the well-known yarn-bombing artists, such as Oleksiak and Sayeg, have teams of people to assist them with the bigger projects. So, why do they do it? Unlike much graffiti, yarn-bombing is often very much about making an ugly public space or object more beautiful. It’s about putting something personal and handmade into an urban, industrial environment. And, of course, it aims to put a smile on people’s faces. I HOPE YOU ENJOYED A LOT. I VISITED NEW YORK IN JULY AND THEN, I ENJOYED THE BEACH IN AUGUST... RELAXING LIFE WHICH WE WILL MISS AS SOON AS WE START LESSONS. YOUR ADVENTURES WILL BE WELCOME.